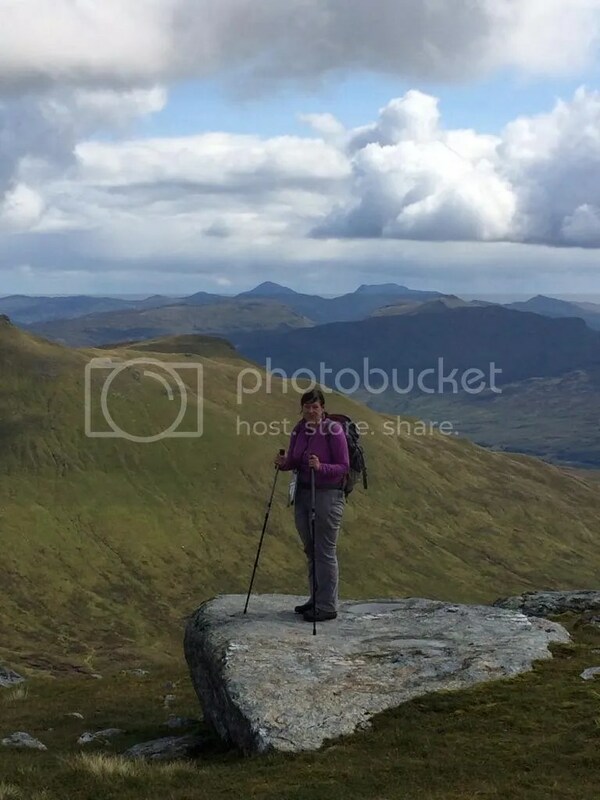 I took up hill walking in 2008 after climbing my first Munro – something I thought was probably beyond me. Why? Because in 2004 I broke my back – technically a compression fracture of the Lumbar 1 vertebra- in a riding accident. Luckily (very luckily) I avoided any spinal cord damage. Climbing my first mountain (needless to say I gave up riding) opened my eyes to a whole new hobby – though getting glorious sunshine that day probably didn’t hurt.. Warning – this is emphatically not a how to hill walk site – for a number of reasons! One: I am a bit of a wuss. I don’t like exposure, and am rotten at scrambling. Two: I don’t really like walking in poor weather – though I sometimes do it anyway. The last time I did my iPhone self destructed in protest. It may have had the right idea. Three: I usually end my trip reports with a picture of what I had to drink afterwards. I’m a girl who likes her red wine. Preferably Malbec.. Hence the blog name. Though Merlot or Shiraz will do at a push. Four: Things have a habit of going wrong. Usually this is weather related, but if the weather plays ball, something else is bound to go pear shaped.. this has included car breakdowns, delayed trains, cancelled flights, various illnesses and on one occasion turning up for a walk far too late to be able to park the car. Five: I’m not very fit, though I’m hoping to improve that this year. I get told by some well meaning soul on pretty much every walk that I’m ‘nearly there’ or ‘nearly at the tea shop’. I grit my teeth, smile (or more likely grimace) and keep going..
Great to see another mountain coward blogging on here (WordPress). Hope your blog takes off and hope you have fun doing it. I still have no idea what we were laughing about!! It’s nice to read your blog, I am just at the beginning of my hill walking journey. I have no big goals, just the one: to climb a hill. And then take it from there. Thanks for being so down to earth.